How Dog Care Magnets come to your aid during a low budget promo? Custom dog care magnets make highly trusted promotional gifts for all types of businesses in the dog care segment due to their raging popularity and visual appeal. Pet care businesses have to work hard to prove that they are best considering the multitude of players in this field. These magnets that are available in a range of shapes, sizes and price range can be stuck over cars or fridge doors or given out at tradeshows, pet shows and awareness campaigns to build your brand. These custom magnets also make adorable personal gifts for friends, family and employees and party favors. Caring for pet dogs is a gratifying career choice for all those who wish to turn their passion into a thriving profession. Custom dog care magnets are perfect promotional giveaways to promote a range of business options including pet care centers, pet stores, and animal shelters, trainers, boarders and much more. Imprint your logo, business message or artwork on these adorable dog shaped magnets and make your brand do the rounds. The personalized magnets will stick to any steel surface and every time your customers see these cute fridge art, they will remember your brand and will make use of your services every time their dog needs special care. Watch how the image of man’s best friend on these promotional magnets will be your company’s best friend as well! Logo pet care magnets have helped many pet care businesses to build a loyal customer base. Our selection of dog care magnets features some of the best selling animal dog care magnets including bone shaped magnets, dog bowl magnets, dog shaped magnets, and paw shaped magnets among others. Custom 2.62X3.37 Dog Notekeeper Dog Care Magnet 20 Mil makes a perfect giveaway to promote dog care business and to raise awareness about pet care and animal abuse. Vets, dog breeders, dog trainers or boarders, pet supplies, pet groomers and others can always avail discount by bulk ordering this magnet. The low cost factor will make these magnets apt giveaways for mass events like pet shows that enjoy a high customer turn out. Customers love to keep their little notes and shopping lists beneath these and every time they take a look at their daily tasks, your logo will enjoy a wide display. If you are looking for a highly visible promotional magnet, choose these Custom Printed Magnets 4×7 Round Corner Dog Care Magnets that flaunt smooth round corners and adorable shapes. This magnet holds high retention value due to the importance of the business messages imprinted against it. Advertisers can seek attractive benefits and discounts by ordering it in large numbers. 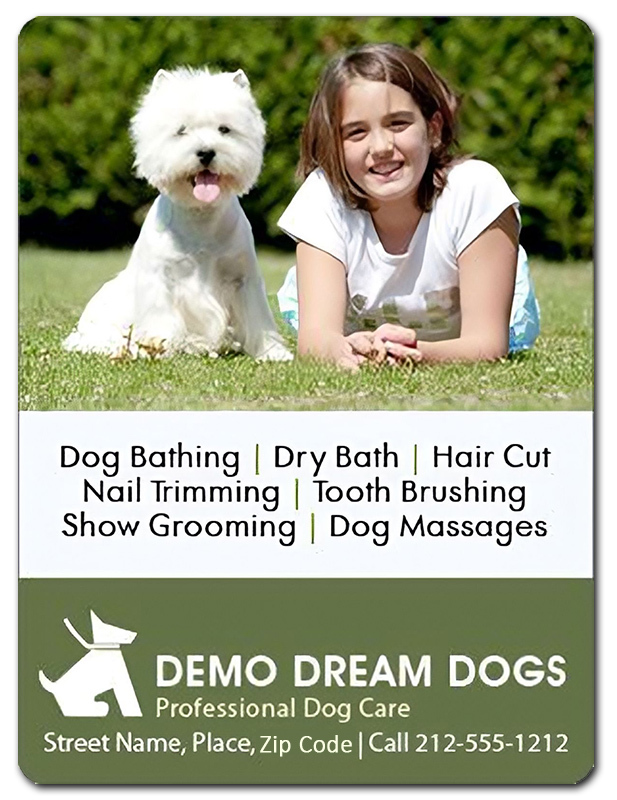 Dog care magnets are the best ways to keep your logo or slogan close at hand in all your clients’ homes and offices. 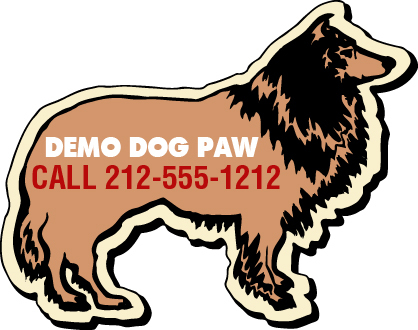 Get your word out on your business line that ranges from dog foods, groomers or vets with these dog care flexible magnets that never cease to bark out your brand to your customers! Ideal for newbies and established pet care services, these custom magnets have only grown in popularity with time. We offer free art setup, free shipping, free online design proof, and attractive price savings on all pet care customized magnets. Order in bulk to enjoy special discounts and make your branding promo budget friendly with these flexible custom magnets.